Leandro is a social educator, Library Science student at the State University of Londrina and rapper in the IML Group Family. 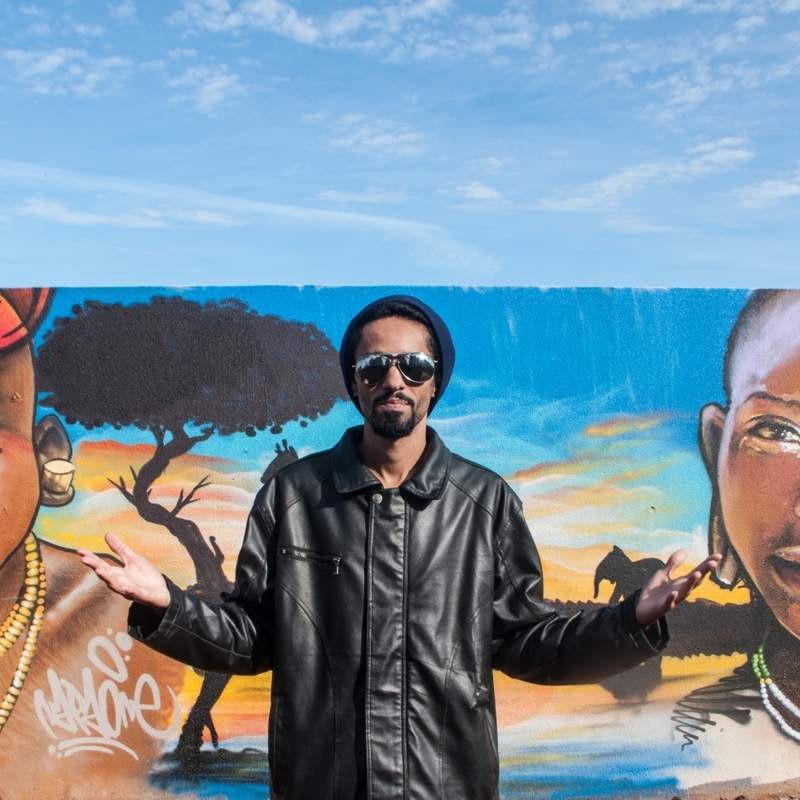 He started the project in March 2014 in order to develop cultural activities for youth and children and to create an identity for the district of Vila Bela, that 4 years ago has no public equipment. The purpose of the action also aims to improve the image of the neighborhood and draw attention to the inertia of the state. The project also has an extension consisting in the parties given in the neighborhood, with the June Fest, a graphite event, a parade of black girls and photo exhibition. Besides giving identity to the neighborhood the main intention is to make the young men be the protagonists of their own story and that children could have access to theater and music, among other things.